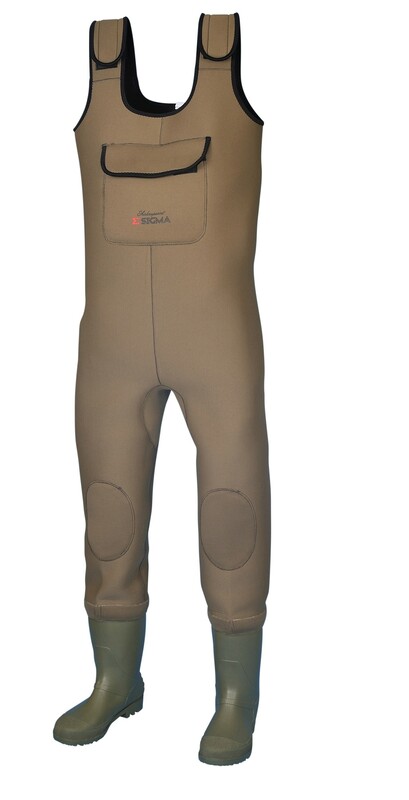 Sigma Neoprene waders made by Shakespeare, 4mm neoprene chest waders come with neoprene shoulder straps and boots with cleated sole. Designed and fitted using hardwearing 4mm neoprene, these exceptional value for money waders are the ideal accompaniment for any game, coarse or saltwater angler! FREE Delivery on all Shakespeare Boots / Waders over £100!! !